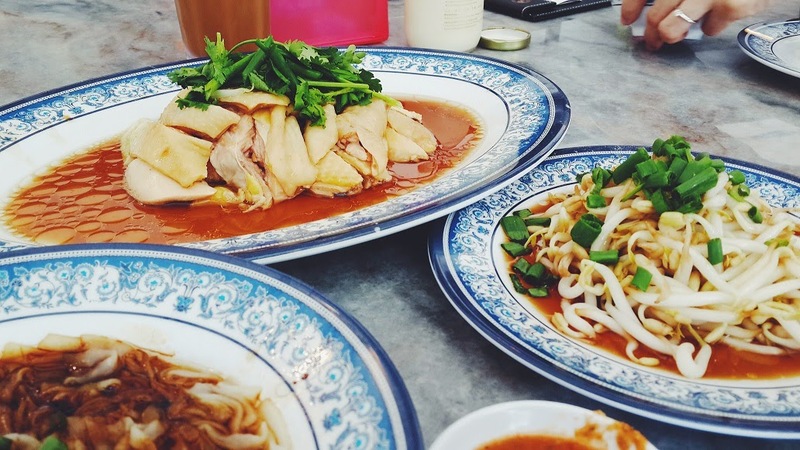 This might seem almost sacrilegious but each time we're in Ipoh, we never go for nga choy kai (chicken with beansprouts) mainly because it's almost always packed to the brim with locals and out of town visitors alike plus it's incredibly hot and stuffy there. So when my ex boss, who hails from Ipoh and holds the view that food there is always more superior, was exalting about how Onn Kee (a proud Ipoh establishment) has opened a chicken rice branch in Bukit Mertajam, Penang, it piqued my curiousity. 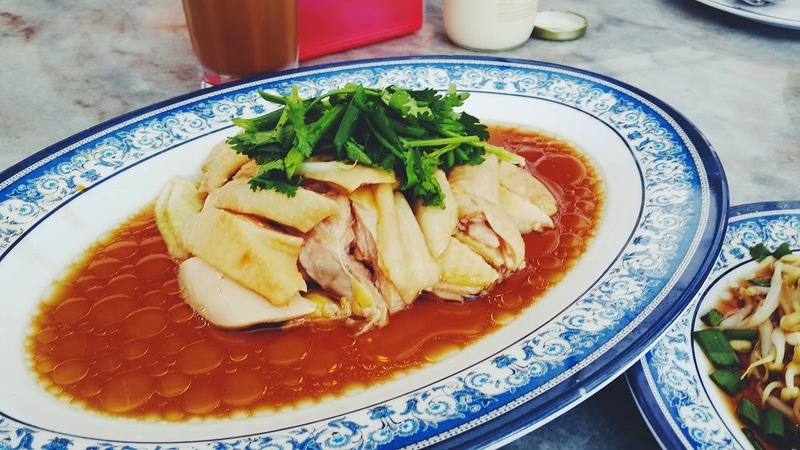 The newly opened Onn Kee Chicken Rice at Bukit Mertajam is located in a nice, very clean and air-conditioned shop lot just across from Tesco Alma. We were a little taken aback at how sleek and modern the premises were. We weren't exactly sure what a bearded chicken (RM25 for 1/2 chicken) was and the waitress assured us that it was what most people in Ipoh ordered. The taugeh (beansprouts) were definitely a must have (RM3) and Hubs opted for a portion of dry koay teow (RM2) as it's not on the menu at most Penang chicken rice joints. The chicken was unbelievably good. Very moist and succulent, it didn't require a lot of flavouring other than light soy sauce topped with a dash of pepper, chopped spring onions, cilantro. Look past the grease spots on the sauce and if you want, discard the soft chicken skin on top. Address: 7, Medan Seri Impian 3, Pusat Perniagaan Seri Impian, 14000, Alma, Bukit Mertajam Business Hours: 11 am to 9:30 pm. Daily. Chicken rice! So hard to find where I am in Sydney. Yours looks delicious. It's so delish & well worth the 45 min drive there!